Location: Killarney, County Kerry, Ireland. Ownership / Access: Operated by the Office of Public Works. Open to public. Notes: Ross Castle is a 15th-century tower house and keep on the edge of Lough Leane, in Killarney National Park, County Kerry, Ireland. 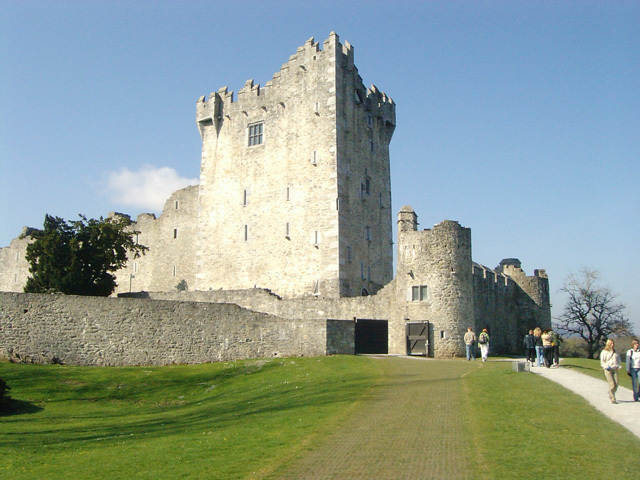 It is the ancestral home of the O'Donoghue clan, though it is better known for its association with the Brownes of Killarney who owned the castle until more recently. The castle is operated by the Office of Public Works, and is open to the public seasonally with guided tours.